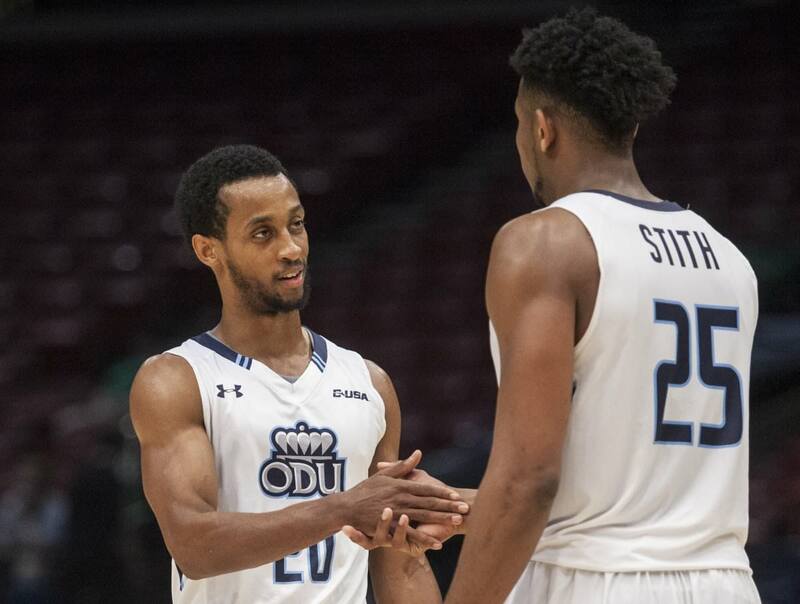 (03-12-2018 01:27 PM)Maryland Monarch Wrote: I'm sad to say that when I opened the ODU page on the Pilot website today and saw Jones' picture, I thought..."he's been fired!" I hate being stuck in this purgatory...neither good enough to get into the NCAA's, nor bad enough to fire the coach. This is like the Navy's bread and water punishment. It keeps you alive, but you wonder what's the point. Look I know it falls on the coach for not getting over the hump. But this year we just flat out couldnt shoot. And that came up when it mattered most. If you watched the games this year. We were a terrible jump shooting team. In the final game against WKU, JJ didnt shoot 1-13 from 3 and 10-20 from the line. Get the shooters in there. We need more MJH and Godwin. I really think a full offseason will do wonders for both. We shot 36% from 3 this year; 38% in conference. We shot 33% on 2 point jumpers. I'm not sure how it is accurate to say we coudn't shoot. Seems to me this was actually the best shooting team we've had in quite a while. And thats not a compliment. (03-12-2018 02:33 PM)bit_9 Wrote: So is it that Jones refuses to play freshman or is it he has a level of play he deems acceptable before you can get into a game? Isn't that really the same thing if the level is so high that freshmen can almost never attain it? (03-12-2018 11:29 AM)mac Wrote: Monarx. The answer. MONEY TALKS. You want the NCAA to worry about fairness? Come on my friend. Money talks in America. Look at Oklahoma getting in NCAA. They finished the season winning 4 of their last 15 games. (lost to good teams though) BUT, they have a superstar who will be great for TV ! More viewers = MONEY. Thats fine. But the NCAA should just admit it. I find it despicable that they try to act like they are some beacon of fairness and sportsmanship. They should just admit that they are a shell organization to provide cover for the P5 to do whatever they want without looking like a bunch of cheating mobsters. In many ways it would be a shame, but I see the benefit of breaking away and having a legit collegiate sports program based on competition, fairness and sportsmanship increasing all the time. It wouldnt have to be at the D2 level. The top 65 get all the players they want now anyway. There would still be plenty of good players for the top half of the remaining 250 teams. I am with you on the breaking away. I think it would be a very good thing for the non p5 leagues if the p5 decided to break away, as long as the non p5 stuck to its guns and refused to participate in their basketball league. I think there is a market for true collegiate athletics at the D1 level. It would also screw the P5s. What are they going to do have a 64 team tournament, which will include everyone? No way. Only way to make it not a complete joke would be to trim it to 16 or less. Result: the NC State, Syracuse, Notre Dame, Oklahoma and Texas teams will get left out. It will essentially be Duke, UNC, Kentucky, Kansas, Michigan State, Villanova conference winners, and a few schools having their season of a decade. And Gonzaga wouldn't be a part of it either. Yep. I have never understood why the non P5s haven't decided to hold the NCAAT hostage to improve their circumstances. P5 basketball would die a slow death without the rest of D1. None of the casual fans that tune into the tournament for brackets and cinderellas would watch their tournament, but the remaining teams could still put on a great tournament. They would have their power programs in the Big East and AAC still and they would have their cinderellas still. The dynamic of that tournament would eventually make it the premier tournament for basketball again. Ya, it's a chicken and egg thing. None of us can really never answer. Maddening isn't? (03-12-2018 01:51 PM)monarchfan4life Wrote: It was JJ's decision not to put Godwin or Hueitt in the game when we could have used their scoring ability. He wasted their redshirt and hardly played them. This is the biggest problem I had. Why in the world would you burn MHJ's redshirt year if you weren't going to play him? The only way I see this from JJ's side is if he promised MHJ that he would not redshirt his freshman year. If that is not the case, there isn't much people can say to me to make believe that this was not one of the dumbest decisions I have seen from a head coach. A kid that is too skinny and has a lot of work to do on the defensive end...it makes perfect sense to redshirt that guy. Incredible stuff by Jeff. Reminiscent of Coop's freshman year. Neither Godwin or Hueitt wanted to redshirt. Look it doesnt matter if they were going to redshirt or not. I would argue that they were as effective as they would have been given that redshirt year. They might have been a little bigger but idk if they would have played a lot more minutes. We now know what they are capable of. Both can knock down big shots. Get them in the weight room and work on the defense and they will be big contributors in the next few years. If true, they may end up regretting it. (03-12-2018 03:08 PM)cmett003 Wrote: Look it doesnt matter if they were going to redshirt or not. I would argue that they were as effective as they would have been given that redshirt year. They might have been a little bigger but idk if they would have played a lot more minutes. We now know what they are capable of. Both can knock down big shots. Get them in the weight room and work on the defense and they will be big contributors in the next few years. Not sure the pure shooters need the weight room. I think that might be part of the problem. We bulk the up and the shots stop falling. As your strength changes, so does the effort required to shoot a 3 and then there is an adjustment period and you have to shoot different than the rest of your life. What is the benefit of a shooting guard bulking up? He isn't banging. Might help fight through screens a little better on defense. 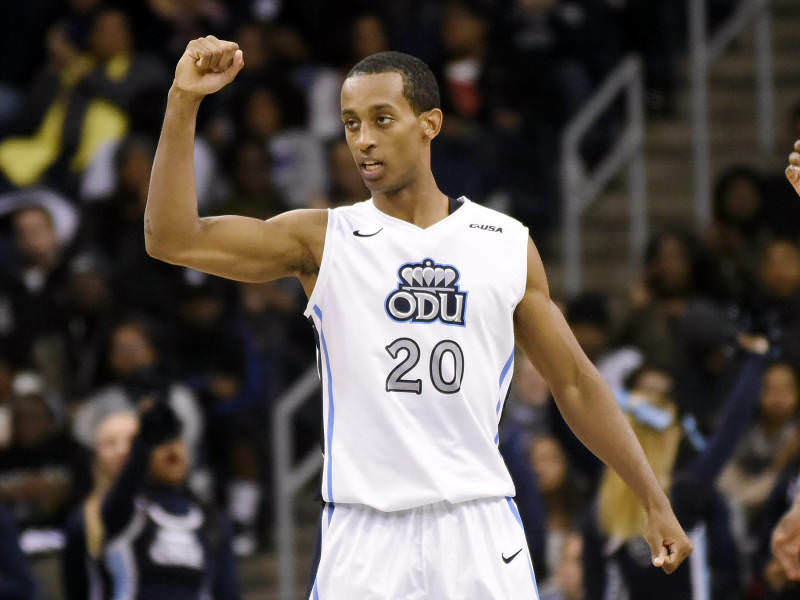 The one guy we had that stayed skinny... Trey Freeman... is the one that didn't lose his shot. It is true, but I agree that they may regret it. Though we would be in the boat of "I hope they don't grad transfer" in 3 years. The one problem is, the P5 would probably invite the Big East, AAC, MW & A10 along to be their whipping boys and play the role of occasional cinderella. The tournament for the rest of us would be much more interesting with those three along. They might even throw the AAC and MW a bone and expand the football playoff just to keep some teams to beat up on. (03-12-2018 01:20 PM)monarx Wrote: Thats fine. But the NCAA should just admit it. I find it despicable that they try to act like they are some beacon of fairness and sportsmanship. They should just admit that they are a shell organization to provide cover for the P5 to do whatever they want without looking like a bunch of cheating mobsters. In many ways it would be a shame, but I see the benefit of breaking away and having a legit collegiate sports program based on competition, fairness and sportsmanship increasing all the time. It wouldnt have to be at the D2 level. The top 65 get all the players they want now anyway. There would still be plenty of good players for the top half of the remaining 250 teams. Not sure. Those leagues don't have football, so may not find their way into that football driven landscape. I think these are very good points. I've often wondered if we've ruined our shooters by bulking them up. The big guys hitting the weights, I get. The shooting guards? Not so much. Trey Freeman was one of the strongest players we had in the weight room. Of course bulking up doesnt hurt shooting. Come on. Bump, to post the stuff that winds up in the 2018 recruiting thread that has not much to do with recruiting. There, I tried. I’m reading this in Gatlinburg, Tennessee from Blaine’s Grill and Bar. Apropos of nothing. (08-02-2018 01:26 PM)Cyniclone Wrote: I’m reading this in Gatlinburg, Tennessee from Blaine’s Grill and Bar. Apropos of nothing.